Welcome to the Mill Creek Farmers Market! 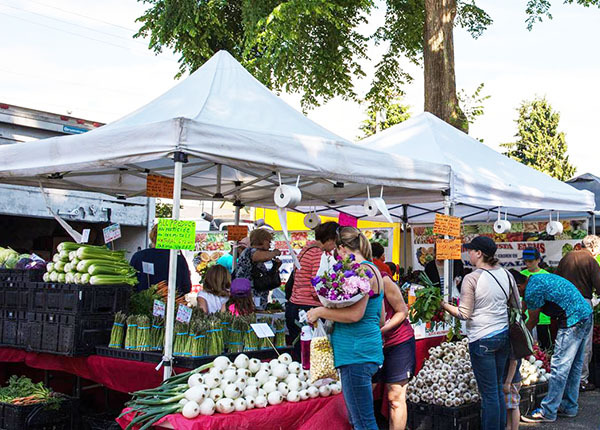 Now in its second year, the Mill Creek Farmers Market runs June 18 – Aug. 20, 2019, on Tuesdays from 3-7 p.m. It is located in the City Hall North parking lot at 15720 Main Street. Interested in being a vendor? Email Market Manager Sarah Dylan Jensen. $30 per Market Day when pre-paid for individually (Single Stall). $50 per Market Day when pre-paid individually (Double Stall). $270 (one free day) when you pre-pay for the entire 10-week market (Single Stall only). This is non-refundable unless the Market is cancelled. Fees are collected IN ADVANCE for future Market Days and are non-refundable (see Cancellation Policy below). Vendors may include following week(s) fees inside their Vendor Packets or bring to Market Manager enclosed in an envelope noting Vendor Name and Dates Paid.